While much of the world may still depend on fossil fuels for electricity generation, a sustainable alternative is gaining momentum. Research conducted at our Solar Photovoltaic (PV) Testing Field is helping to foster and accelerate the growth of technologies that harness solar energy. Established in 2008, the photovoltaic field test site is a central location where photovoltaic technologies are being demonstrated, monitored, compared and assessed under weather conditions characteristic of the Greater Toronto Area. 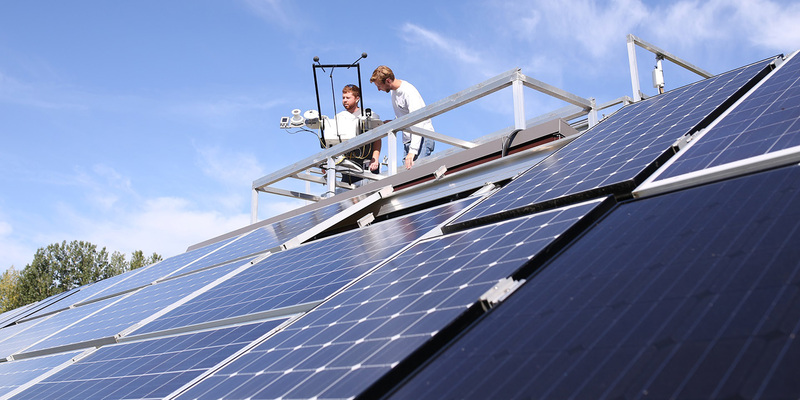 This facility is equipped with a state-of-the-art solar radiometric weather station, a custom automated I-V measurement system, an outdoor incidence angle modifier testing set-up and roughly 40 kW of PV across several inverter types, all of which is integrated with a custom, facility-wide data acquisition and control system. The Lab includes PV system design configurations that can be easily modified or re-wired to serve different purposes. Research projects at the Solar PV Testing Field have focused on the development of PV module performance rating standards and on benchmarking PV system performance. Much more than a research laboratory, the facility is also used by solar companies looking to demonstrate or develop their products, and as a training and education hub for those looking to learn more about solar. 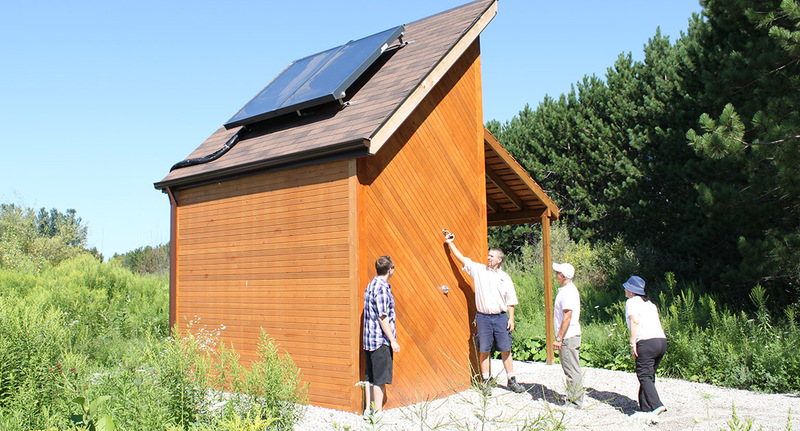 Solar installations at the Living Labs also include PV arrays installed on neighbouring buildings, solar shingles, solar thermal and solar air demonstrations, as well as one of the oldest PV installations in Canada. Experienced staff from STEP conduct independent third-party product evaluations at this Lab. This research yields valuable information on the performance of these technologies and helps to determine best practices for their operation and maintenance, which STEP disseminates to industry, government, academia and the general public.